Please remember to act neighborly and keep your sidewalks shoveled, fire hydrants clear of snow, and street drains clear of debris after a heavy snowfall. If you know of someone who needs assistance with keeping their sidewalk or driveway clear, pitch in and help them out. 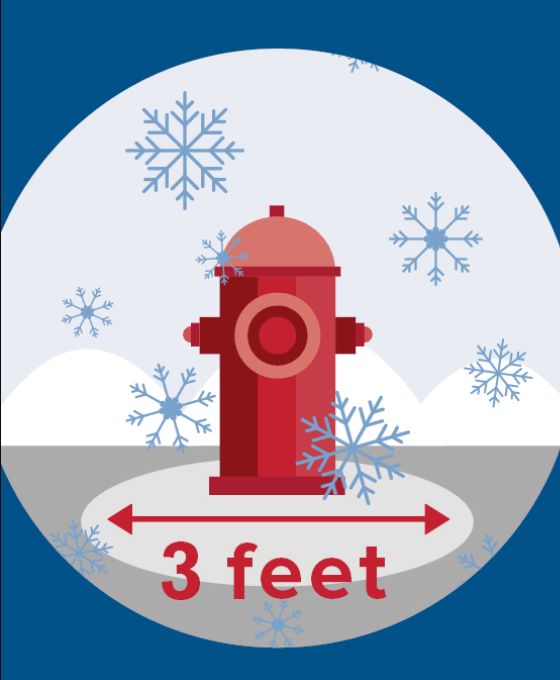 If there is a fire hydrant close to your property, remember to help our firefighters by shoveling snow in a three-foot radius around the hydrant to keep it quickly accessible in case of emergency.